Apple's Worldwide Developer Conference keynote happened earlier today and there was plenty of new information for car enthusiasts to chew on. Apple announced improvements to CarPlay in its upcoming iOS 9, the biggest of all being wireless connectivity. Other information from the event regarding CarPlay is after the page break. I have also included some of my thoughts on today's events below. And most significantly with CarPlay, we're pulling the cord. In future cars, you'll be able to get in your car without taking your phone out of your bag or out of your pocket, and start experiencing CarPlay effortlessly. It's going to be really great!" Wireless CarPlay was promised in iOS 8.3 but was pulled at the last moment. Many believed this was because the hardware in today's car dashboards wasn't there yet to support the technology. iOS 9 is expected in the Fall of this year and according to Apple, future cars will be capable of supporting the feature. The CarPlay news that never came: There was no mention of new apps that are lined up for CarPlay support. I was really hoping Apple would make some announcements in this regard. Compared to Google's competing software Android Auto, Apple CarPlay has very few compatible third-party applications available at the moment. The other bit of information I would have liked to see is how the Apple Watch might integrate with CarPlay, if at all. Also, Apple's CarPlay page has not been updated for a while now. Beats Music still shows as a CarPlay compatible app while it's not and only Alpine and Pioneer are included as aftermarket partners, when at CES 2015 we learned that other manufacturers also have products in the pipelines. Maybe CarPlay has been put on the back burner for now with rumors for quite some time suggesting Apple is busy developing their own smart car. 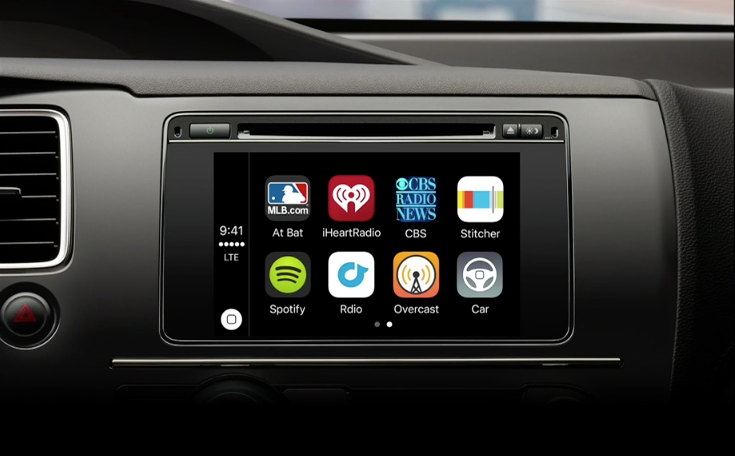 Maybe that Apple Car will feature a full-featured CarPlay experience to blow your mind away. CarPlay development has slowed down to snail's pace even though Google came out with a bang with Android Auto. WWDC 2015 is Apple's software event and there were quite a few other announcements made regarding updates to OS X (El Capitan), Siri, Apple Pay, Maps, a new WatchOS 2 and News application, and of course iOS 9. Apple capped off the keynote with the introduction of Apple Music, its own streaming, social, and interactive music service. When Navigon will be compatible with CarPlay?